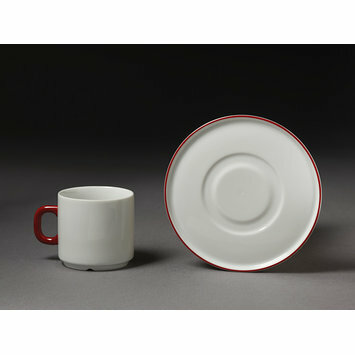 Coffee cup and saucer of porcelain with red enamel decoration. Gift of the maker. Recipient of a "DesignPlus" award at the Frankfurt Fair, 1984. 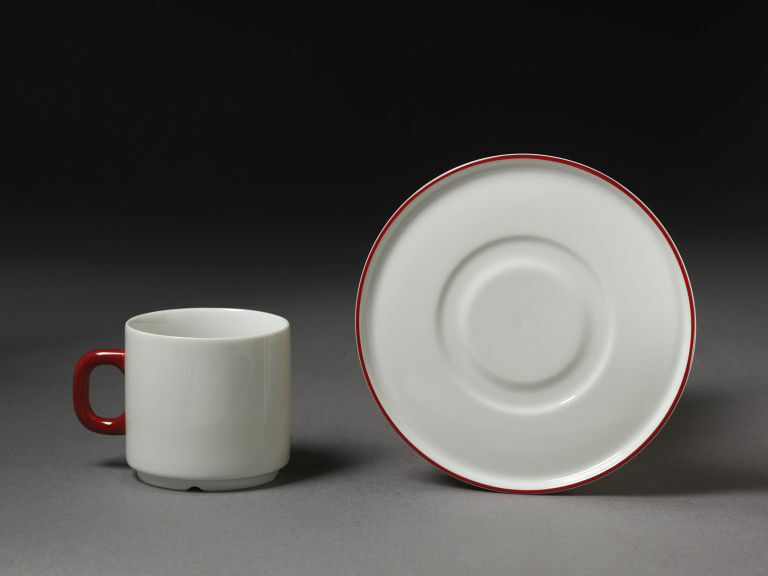 Coffee cup and saucer, 'Life' shape designed by Lutz Rabold about 1973, pattern 'Edition', porcelain with red enamel decoration, made by Porzellanfabrik, Friesland, Melitta, Germany, ca. 1983.